No Plane. No Remains and No Real Answers on Malaysia Airlines Flight 370. 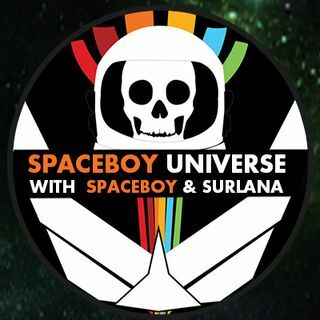 Join Spaceboy and Surlana as they talk about Malaysia Airlines Flight 370. How are you doing it SB? That's Bob & I. r what do oyu want me to make for dinner!!! hahaha. great show as always! goodnight Space Cadets! thanks all for being here!!! I've certainly never had boysenberry pie; I need to try it! man one thing that's missing in California is.. PECAN PIE! can't find it anywhere! Now that GG is in california, he can have boysenberry pie at knotts berry farm. and my birthday is on the 25th!